IAVA launched its #SheWhoBorneTheBattle campaign in 2017 in order to increase recognition and improve services for women veterans. 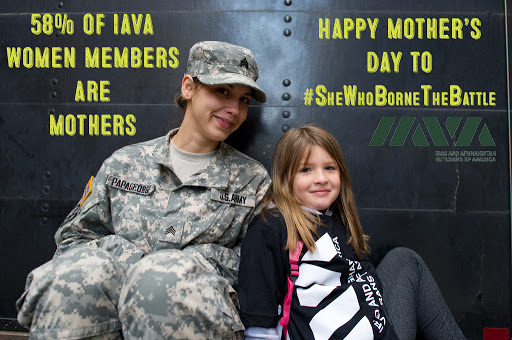 This Mother’s Day, IAVA calls on all Americans to honor the women who serve, many of whom are mothers. IAVA led the creation of the Deborah Sampson Act for women veterans, which includes an increase from seven to fourteen the number of days that VA can provide care to a newborn child of a woman veteran who is receiving maternity care by VA. It also authorizes medically-necessary transport (e.g. ambulances) for these newborns to be paid by the medical services account, rather than through beneficiary travel. Are you a veteran mother? Email press@iava.org to share your story!